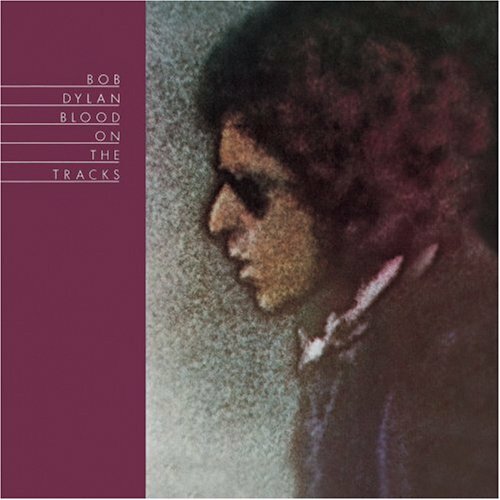 The cover of Bob Dylan’s legendary 1975 album Blood On The Tracks. Buying multiple copies of vinyl records makes more sense than multiple copies of CDs. Condition is always key but sometimes it is just hard to let a vintage record not go home with you. For me, every Bob Dylan record is tempting but a nice, clean copy of Blood On The Tracks was just irresistible. I have one copy hanging on my wall but it has tons of static, so I wanted a clean copy to spin. This beautiful break up album is one that you don’t really listen to; you absorb it. It is heartbreaking and liberating all in one shot. You have probably heard the great “Tangled Up In Blue” but if you really want to hear the power of Blood On The Tracks listen to “If You See Her, Say Hello” “You’re A Big Girl Now” or “Idiot Wind.” There are very few records that always sound fresh and can survive endless, repeated spins but this one is definitely among them. Was it worth buying a second copy? Without a doubt. Just like it will be worth buying third and fourth copies if the opportunity ever arises. This entry was posted in The Vinyl Court and tagged Blood On The Tracks, Bob Dylan, fanboy, gushing, LP, perfect albums, record, The Vinyl Court, vinyl. Bookmark the permalink. To this day it remains one his finest albums and anyone who listens the lyrics knows that must of been one hell of a break-up. Interesting to note is that this album started out being recorded as a group of demo’s in a small studio in Minneapolis. Wonder where those tapes are today? Is that the Blood on the Tapes session? Or is that even after Minneapolis? That’s sounds awesome, I know the Blood on the Tapes sessions are heavily bootlegged, I even have a copy. I imagine they will become an official “Bootleg Series” someday soon. Thanks. Pleased to have discovered you here. BOTT remains a landmark recording in bobs career and twentieth century art! Look forward to reading more here. Regards from Thom at the immortal jukebox (lots of bob and much more!). Intersting site Thom, I like what I see and I’ll add it to my reading list, thanks!